Eclipse Oxygen (Version 4.7), which will be released in June of this year, includes also the next version of the BPMN2 Modeler Tool. The Eclipse BPMN2 Modeler is a graphical modeling tool for authoring business processes based on the Business Process Model and Notation (BPMN) 2.0. BPMN 2.0 does not only provide a standardized XML notation for describing business workflows but also higher-level collaborations between internal or external business partners and the choreography of information exchanged between these business partners. BPMN 2.0 introduces an extensibility mechanism that allows extending standard BPMN elements with additional attributes. It can be used by modelers and modeling tools to add non-standard elements or Artifacts to satisfy a specific need, such as the unique requirements of a vertical domain, and still have valid BPMN Core. 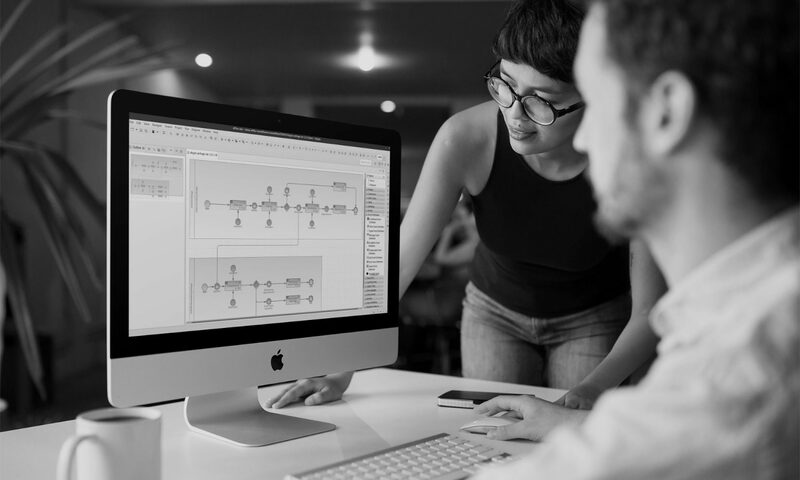 The primary goal of the Eclipse BPMN2 Modeler is to provide a open graphical workflow editing framework, which can be easily customized for any BPMN 2.0 compliant execution engine. This allows plug-in developers to easily customize the behavior and appearance of the editor for specific BPM workflow engines that use this BPMN 2.0 extensibility mechanism. Also the Tool Imixs-BPMN is based on the Eclipse BPMN Modeler and provides an easy way to describe process models to be executed with the Open Source Workflow Engine Imixs-Workflow. With the Eclipse integration of Imixs-BPMN, the Imixs-Workflow project provides a powerful platform to model business workflows in small, medium and large developer teams. With the collaboration tools of Eclipse, business models can be version controlled in a modern, state of the art tooling platform. Process models can be directly tested and validated using junit tests and several build tools. The new version 1.4. of the Eclipse BPMN2 Modeler contains many bug-fixes and enhancements. For example, it becomes much more easy to maintain complex Collaboration Diagrams. Not only developers, but also business analysts and requirement engineers will benefit form the open Eclipse Modeling Platform.